How many times have you found yourself suffering through a Windows update, falling victim to a virus, malware, or ransomware, feeling limited by the Apple or Microsoft way of doing things, or just generally wishing there was an alternative to Windows or macOS? You’re in luck … there is such a choice. 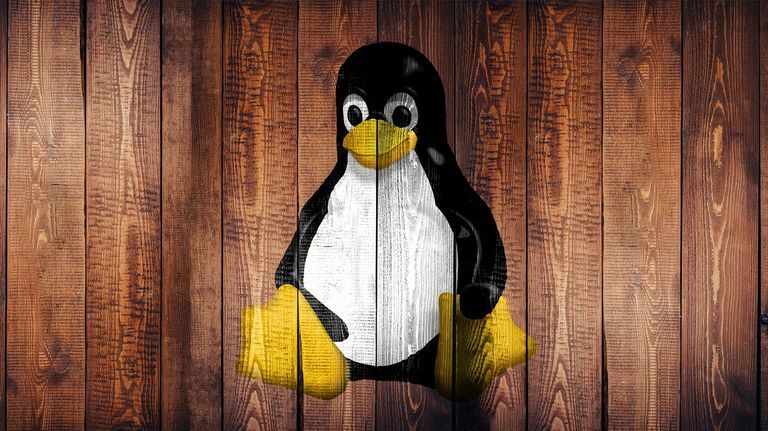 Linux is an open source operating system that’s been around since the late nineties and is ready for you to make the switch. But why should you? Here are all the reasons you need to migrate from the proprietary solutions to a more open, free alternative. Let’s face it, cost matters. But you’re probably thinking you’ve never paid a dime for an operating system. You have. When you purchase a desktop or laptop, the cost of Windows is built in. Not only that, but if you’ve ever upgraded Windows, you know of this cost. That inherent cost isn’t found only in the operating system. Many applications for either Windows or macOS have an associated cost. With Linux, you’ll find thousands upon thousands of free applications. Instead of paying for MS Office, you can install LibreOffice on Linux, directly from your distribution’s app store. Looking for a free Photoshop alternative? Try The GIMP. And when it comes time to upgrade your Linux distribution, it won’t cost you a penny … ever. Nearly every Linux distribution comes free of charge. If you’ve used either Windows or macOS long enough, you know it’s their way or the highway. There’s little customization to be done, outside of a theme here or a wallpaper there. For anyone that likes to work a more unique way, that’s not enough. Fortunately, Linux allows you to customize the operating system to perfectly meet your needs. Don’t like the GNOME desktop? Use KDE. Don’t like the look and feel of GNOME, change it with Extensions. Don’t like where the Xfce Panel lives? Move it. The customizations you can do are almost limitless. And many of these customizations are very easy to manage (so you don’t have to be a hard-core Linux user to pull them off). In the end, you get to work exactly how you want, not how Apple or Microsoft think you should work. By design, Linux is much more secure than either Windows or macOS. The likelihood you will experience a virus, malware, ransomware is exponentially less with Linux. This alone should have you wanting to migrate away from your current operating system. Many pundits believe the reason for this is that Linux isn’t targeted as much as either Windows or macOS due to market share. However, Linux usage is widespread among enterprise-level businesses. Places like Facebook, Twitter, YouTube, and Google all depend upon Linux. And yet, you rarely hear about those company's servers and systems getting hacked (user accounts are a different beast altogether). Linux users go decades without suffering from a single security issue. Does that mean they don’t exist? No. What it means is that you are far less likely to suffer security issues with Linux than you are with either Windows or macOS. Do remember, no operating system is 100% secure. Because of that, you still need to use your PCs wisely. Linux just works. Period. It’s a very, very rare occasion that Linux crashes. Even if an app crashes, the chances of it locking up your entire system (as can be the case with Windows) is slim. Better yet, should that actually happen, it is possible to use what is called a virtual console (or terminal) and close the offending app from the command line. Once you’ve closed the crashed app, you can regain control of your desktop. You cannot do this in Windows. Even with that capability, apps on Linux are rock solid and rarely crash. Say goodbye to that Blue Screen of Death. Back in the late nineties and early 2000s, Linux was quite the challenge to both install and use. Only the uber geeks were capable of claiming it their own. If you weren’t studying computer science, chances of you successfully using Linux with much success were unlikely. That was then; this is now. Modern Linux operating systems are as easy to install on a desktop or laptop computer as apps are easy to install on Windows or macOS. It’s all point and click with very little skill required. Anyone can install and the likes of Ubuntu Linux, Linux Mint, Elementary OS, or Deepin Linux. And using modern Linux has become as simple as pointing and clicking a mouse. With both Windows and macOS, it can feel like you're forced into buying new hardware every time you upgrade to a new version of the operating system. This is called planned obsolescence. You won’t find that with Linux. In fact, there are a large number of Linux distributions designed specifically to run well on old hardware. Distributions like Peppermint OS, Lubuntu, Linux Lite, and Bodhi Linux all run splendidly on aging hardware. That means you’re not only saving money, you’re saving the environment (by not having to trash computer hardware every two or three years). Speaking of upgrading … every time you start (or restart) Windows, and you see that update screen, do you find yourself crossing your fingers, hoping the update won’t bring your computer to its metaphorical knees? With Linux, upgrades are painless. And unlike Windows, where it seems you have to reboot every time a single app is upgraded, Linux only needs to reboot if the kernel is upgraded. Every app, daemon, and service can upgrade on your Linux machine and you won’t have to reboot. Linux machines are well known for running years without a reboot. And with technology like Ubuntu’s livepatch, even a kernel upgrade won't force your machine to reboot. If you run into an issue on Linux, where do you turn? Fortunately, there are plenty of online forums, groups, and mailing lists dedicated to helping users solve problems, none of which will cost you a penny. Sites like Ask Ubuntu, the Linux Mint Forums, and Ask Fedora are great places to start. In fact, nearly every Linux distribution offers a help form or mailing list dedicated to users solving one another’s problems. And because the community is dedicated to open source (and the spread of Linux), those forums are generally very welcoming and helpful.